Obesity is a growing epidemic in the United States and across the world. Researchers estimate the obesity rate in the female reproductive population will rise from 24% to more than 28% by 2015. That increase likely means more women will be seeking weight loss surgery. The impact of weight loss surgery on pregnancy is a relatively new topic of research. According to a study published in The Obstetrician and Gynaecologist, women should wait at least 12 months after having surgery to minimize possible complications and optimize their chance of having a healthy pregnancy. Researchers admit there are more complications presented in obese pregnancy than pregnancy after weight loss surgery, but both cases pose unique health issues. 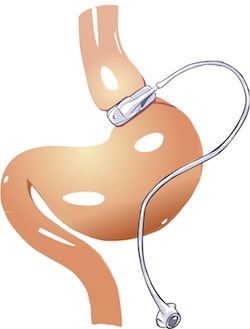 Gastric banding patients who conceived less than 12 months after surgery experienced band migration and slippage in 24% of pregnancies. Migration and slippage often results in vomiting and bank leakage. Past studies on pregnancy after weight loss surgeries extend the wait time to 18 months or longer. According to one study, 31% of pregnancies before 18 months post surgery resulted in spontaneous miscarriage compared to just 18% in patients who waited longer than 18 months. Post surgery patient care for women of child-bearing age needs to include education on the risks of pregnancy before the 12-month mark. If patients become pregnant before 12 months, patients need to be given access to information on nutrition, vitamin supplementation and proper weight gain. With proper post surgical care and time to heal, pregnancy after bariatric surgery can be safe.